Pax et bonum, Peace and all Good to each of you. By now you have had the opportunity to read the new Regional Formation Handbook which was given to each Fraternity last November. Many of you have also received the FUN Manual that was published by the National Fraternity (if you haven’t yet received a copy, you will when you attend a District gathering; otherwise, it’s available on our regional website, http://skdsfo.org). Perhaps you have already devoured every page of these books and rejoiced over the richness of material for formation that is found in them, or perhaps you may have been overwhelmed, and lost hope, or perhaps you are already, like most of us overbooked and can only get to these books at a later date. I thought that this first installment could serve as an overview to entice each minister and formation director, as well as the formation team or any other members of the fraternity to taste the richness that is present there. Why are there two books? To answer this first question I would like to talk about the origin of the FUN Manual, which addresses initial formation. One of the concerns from each of the General Chapters of our Order has been the quality of the initial formation of candidates. Another concern has been attrition of some members after profession, as well as integration of the Franciscan charism into each professed member’s way of life. Obviously many members are models of Franciscan living, but other members and fraternities seem to lack the understanding of the nature of the commitment they made. One of the remedies for this is the dossier for ongoing formation that is found at the CIOFS website (also available on our regional website at the “Formation Resources” icon). In order to be alive in our Franciscan commitment to the fraternity and our faith, we need to be involved in continuous renewal (conversion or penance). The other strategy was to bring a uniform study process into initial formation. One of the materials we received was the Guidelines for Initial Formation (1992), published by NAFRA. 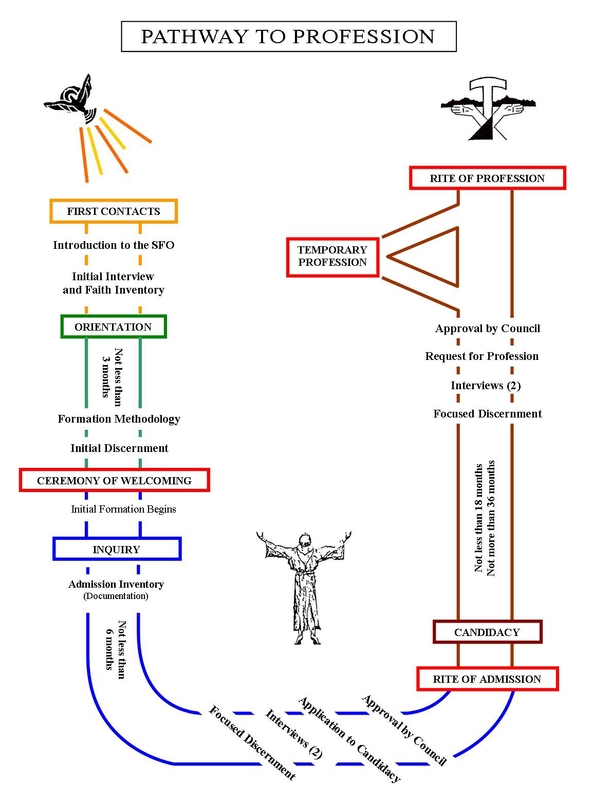 The time of initial formation was extended from one year of candidacy, to the addition of orientation (3 to 6 months), 6 months of inquiry, and the extension of candidacy to 18 months, and as a way help the individual and the fraternity discern if the prospective candidate had a true vocation to the Secular Franciscan Order. During this time several “texts and manuals” were developed to help both the formation personnel and the candidates prepare for profession and living the life of the secular Franciscan. However, the quality of formation worldwide varied considerably from one Fraternity to another and from one region or national fraternity to another. The FUN Manual was designed to remedy these inconsistencies. First, topics were proposed by the International Fraternity and additional topics were incorporated by our own National Fraternity for inclusion into the plan for initial formation. Many of these topics had been covered in some of the popular Formation Texts, such as Catch Me a Rainbow Too, by Father Lester Bach, OFM Cap., and Fully Mature in Christ, by Father Benet Fonck, OFM, both of which followed the Rule as the outline for candidacy. However, it was felt that more emphasis was needed on the Franciscan Charism, deepening of our life of prayer, living out the meaning of our profession, and issues of social justice. Also, as a practical issue, much had been written by David and Teresa Ream, OFS, Anne Mulqueen, OFS, Teresa Baker, OFS, and others on discernment, and how to best prepare the person in initial formation for profession of a fully committed life in Fraternity. All of this information can be found in the FUN Manual. By the way, FUN is an acronym of For Up to Now, which is a quote from St. Francis “Let us begin For Up to Now we have done nothing.” All in the entire FUN Manual is designed to provide resources to help us go deeper into our commitment. As with everything in formation, there are three levels of intensity: information, formation, and transformation. The FUN Manual and the accompanying CD are resources that first of all provide comprehensive information for the Formators (Formation Director and those who are assisting this individual) in preparing and celebrating the candidates who are gifting our Fraternity. They also include resources that help the individual and the fraternity to be formed in the Franciscan tradition, as well as to be transformed by the Holy Spirit. The FUN Manual and its accompanying CD are not intended primarily as something that can be read from cover to cover, but rather as a reference manual that one consults and prays over in preparation for lessons for those in initial formation. If the FUN Manual is so comprehensive, why do we need a Regional Formation Handbook? It is because the FUN Manual is so comprehensive, that it is helpful to break down the formation process into manageable parts. Also, since our last Formation Handbook and the Guidelines for Initial Formation there were numerous talks, papers, inputs from our National Formation Team, and workshops at the regional level regarding formation. The Regional Formation Handbook (2011) is an attempt to collect and organize the wealth of material that is available to our Formation Directors. There are 4 parts to the Handbook. Part 1 provides General Information that describes the qualities and specifics of the formation process, the job description of the Formation Director, discernment of vocation, and general strategies of communication for the adult learner. Part 2 is a comprehensive guide for initial formation. As a way of looking at Initial Formation, I recommend that the Formator study first pp. 45-49 of the Handbook, which is Our Identity as Secular Franciscans, and Praying the Scriptures. In the pages that follow, the goals and tools of each stage of initial formation are given, as well as a design to assist the formator in incorporating the needed information, formation (working with the community), and transformation (deepening the prayer life) of the person being formed. In terms of the practical there are grids which direct the formator to reflection on suggested scripture passages, the rule, using a particular formation text (The Franciscan Journey or Fully Mature in Christ), and materials in the FUN Manual, its supplement and other resources. Just getting the information together is a start, but one needs to select parts of the text and supplementary materials for the lesson, activities and questions for discussion and sharing for formation, and scripture reflections for transformation so that the candidate will be fully prepared for making the commitment of profession. Part 3 outlines some resources for ongoing formation. Additional material can be added at a later date. Part 4 is a Supplement which contains the entire text by Fr. 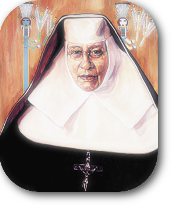 Felice Cangelosi, OFM Cap., Attendance Forms in 6 month intervals, Interview Guidelines and Guides, Ancillary Materials, such as outlines for celebrating the Liturgy of the Hours, a Franciscan Timeline, other resources for prayer and printed books and CDs. All of this is very heady without the Scriptures. Last Saturday I had the privilege of witnessing the initiation of a catechumen into the Church. This woman was unable to be ready for baptism for the Easter vigil as she was pregnant, and now that she had given birth to new life in her child, she was herself born to new life in the Church. In our profession promises we first of all renew our own baptismal commitment, and for me, each time I attend baptism of adults is an opportunity to renew not only my baptism, but my profession as well. Three readings were used for the Liturgy of Word. The first was from Jeremiah 31: 31-34 in which God promises to make a new covenant with his people and write the law in their hearts. This is our conversion (penance) process as Franciscans. The second reading was from St. Paul’s letter to Titus 2:11-14 in which he described the deep love of God in sending us his Son. As Franciscans the human face of God is the depth of our own charism, and one of the great motivators of St. Francis. The Gospel reading was from Mark 16:15-16, which tells us to preach to all nations. For us the directive to preach means to live from Gospel to life and life to the Gospel. This certainly was an opportunity to deepen my own commitment to my vocation. In short, this is what the Formation handbooks are about – an opportunity to renew our own profession and life as a secular Franciscan as long as we do not see their content as words on a page that we are called to remember for a test. Both the Handbook and the FUN Manual are resources for renewal and conversion. Another experience has also helped me to be enlightened recently. I had cataract surgery on both eyes on May 21 (left eye) and June 11 (right eye). For the first time since I’m ten years old, I can see 20/20 distance without glasses. It is a new world. I still need reading glasses, but I am amazed at being able to really see again with glasses. To me it is a model for the conversion process of getting a new heart, a renewed heart as Jeremiah described. This is the real goal of the Handbook and FUN Manual: to get a new heart and to be energized in our commitment. It is up to each one, however, to take time to take the words off the page, and allow the Lord to touch your eyes and your heart.